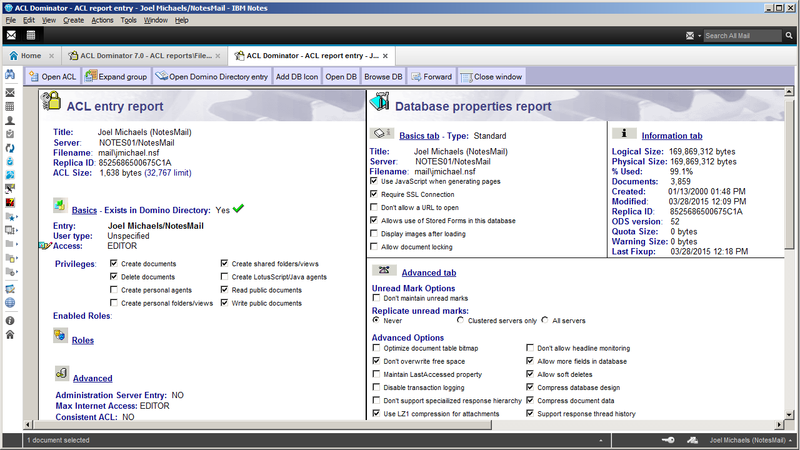 New York, NY – April 1, 2015 – IBM BP NotesMail, provider of IBM Notes and Domino consulting services and Notes tools & apps, now offers a new user interface and enhanced administration functionality for IBM Notes and Domino. 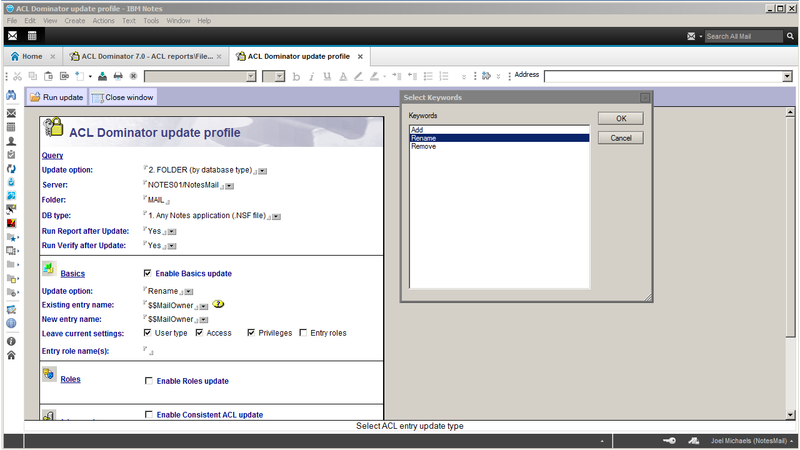 ACL Dominator is an administration reporting and management security tool which allows Domino Administrators to quickly identify performance and security issues in a Domino environment. 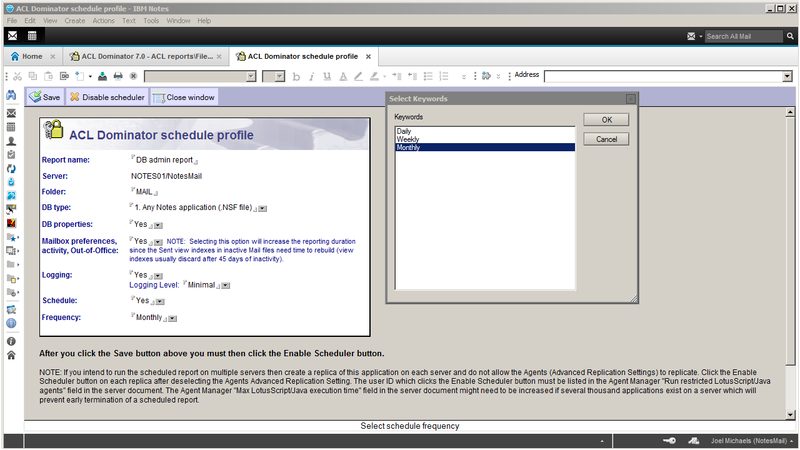 You can generate admin reports in a Notes DB, export to Excel, and schedule to run daily, weekly or monthly. 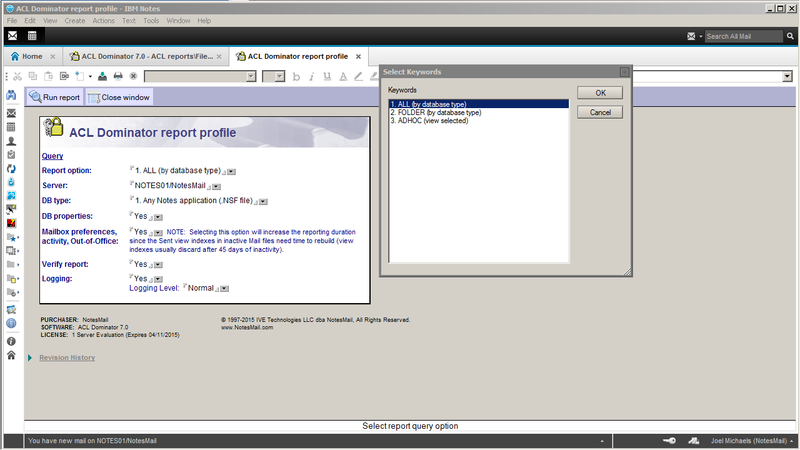 Reports can be generated as seen below which assist a Domino Administrator to fix security holes, optimize server performance and prepare for a messaging migration (i.e. 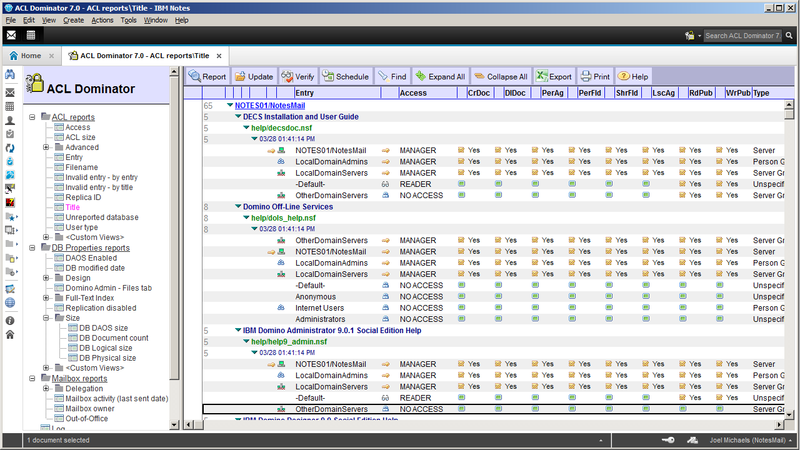 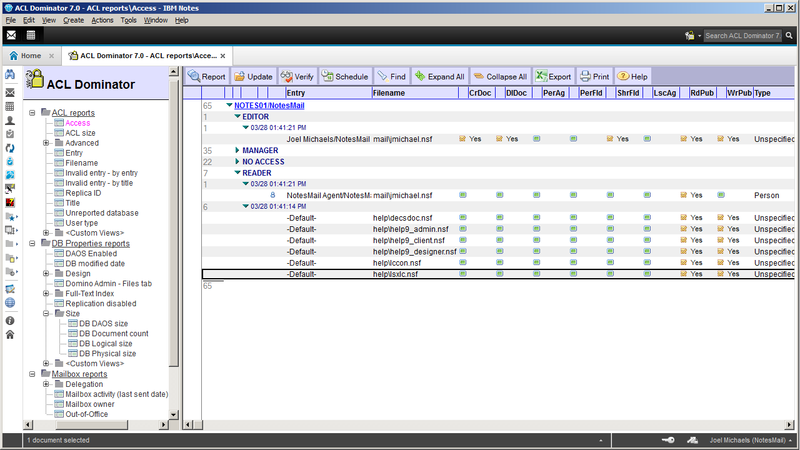 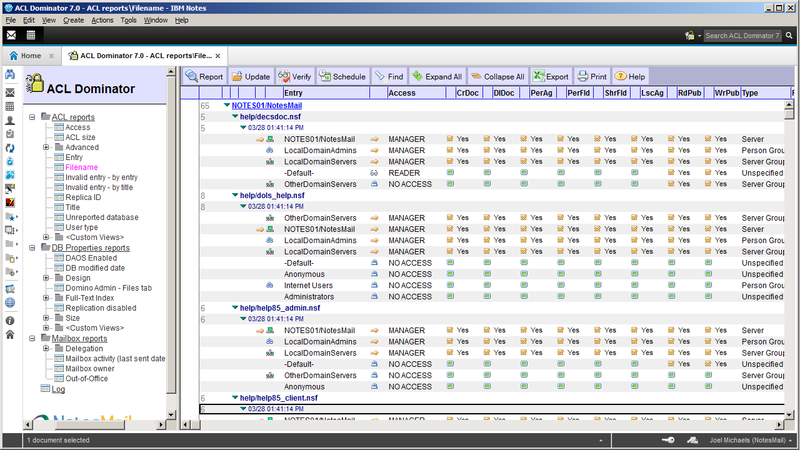 IBM SmartCloud Notes Hybrid). 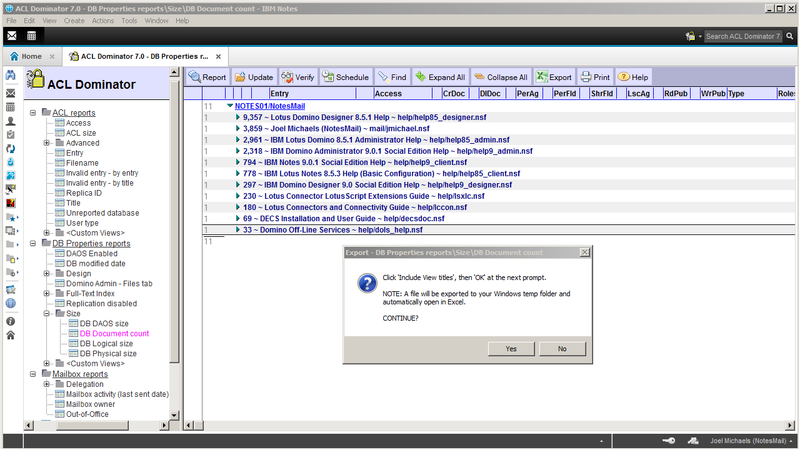 ACL Dominator can be configured to run on any Domino 9/8/7 server platform, and it is easy to deploy since essentially an IBM Notes database DB. 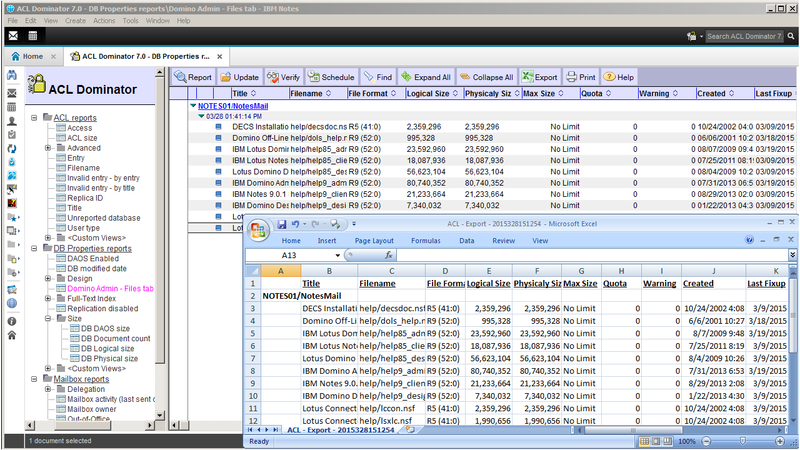 More information on ACL Dominator is available by going to the NotesMail Website or calling 212-599-2048 x5.